If you’ve been in a car accident, it’s likely that you probably have a wide range of feelings. Some of these are emotions like fear, confusion or even anger. You also might be feeling pain, or you might be surprised that you seem to be feeling little or no pain even after a serious crash. Whatever you’re feeling, one thing you should strongly consider, if you’ve been in a car accident, is consulting with a chiropractor immediately. At Total Chiropractic Care and Wellness, we treat all types of accident injuries and we want you to know how chiropractic care can help you with pain management following an accident. Injuries from car accidents can have a wide range of repercussions. You could have some minor discomfort that quickly goes away or you could have chronic pain for the rest of your life. Among the most common types of accidents we see are whiplash, lower back pain, middle back pain and joint injuries. Whiplash is the most common injury associated with car accidents. It usually occurs because a vehicle is struck from behind and the force of the impact causes the injured person’s head to move forward and then reverse direction and move backward in rapid succession. It’s a painful condition, but chiropractic care can help. According to a 1996 study published in the Journal Injury, 93 percent of whiplash patients showed statistically significant improvement following chiropractic treatment. The study looked at 28 patients who had what’s called “chronic whiplash syndrome” and found that 26 of the patients responded well to treatment. 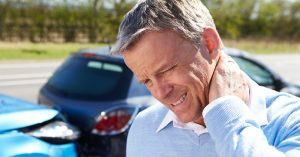 A later study published in the Journal of Orthopedic Medicine shows how chiropractic care helps the injuries sustained by whiplash patients. The patients were divided into three groups based on the types of injuries they sustained. One group consisted of patients with neck pain and restricted neck movement. Of that group, 72 percent responded well to chiropractic care. The second group was made up of patients with neurological symptoms or signs of a restricted range of motion. These patients responded well to chiropractic care, with 94 percent of them reporting a good outcome after receiving treatment. The final group involved some of the most serious cases, those who had severe neck pain and bizarre pain distribution in their extremities. These patients often had harsh symptoms like blackouts, nausea and vomiting, chest pain and difficulty with vision. Of these patients, 27 percent reported improvement following chiropractic care. Chiropractic care can help patients for a number of reasons. It’s a non-invasive alternative to options like back surgery. Seeking help from a chiropractor can also help you avoid excessive use of pain medication. It’s recommended that you see a chiropractor as quickly as possible because patients don’t always realize that they’re injured right away. It takes time for the body to settle down after the accident. Chiropractic care has a proven track record of helping car accident victims and it does so in a less invasive way than other types of treatments. At Total Chiropractic Care and Wellness, we offer an alternative to surgery and we can help treat all kinds of injuries from minor to severe. To learn how we can help you, contact us today. Please note that the author of this piece is not a doctor and the information of this material is not intended as medical advice. Please consult your doctor or medical professional for specific information regarding your individual situation.